WPS first-grade angels close the show with the fifth-grade nativity scene. Pictured, from left, are: front row, Clara Collins-Ellingsworth, Jack Hornung, Taj Sands, Nonda Gjikuria, Leo Galles, Aadish Maharjan; middle row, Keller Hoch, Liam Doran, Charlie Rutter, Estelle Damouni, Lea Jaoude, C.J. 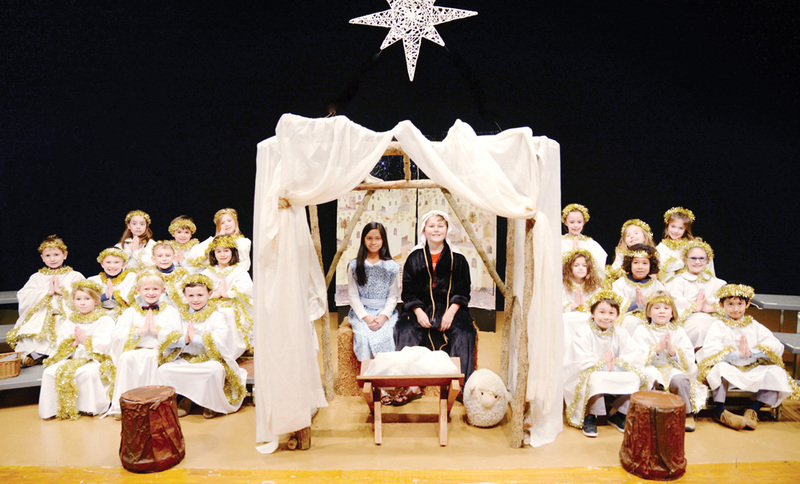 Labin, Sarah Brasure; back row, Sadie Kremer, Emmy Givens-Grevey, Elena Kappes, Lilly White, Isabella Rice; and, center, fifth-graders Priya Haldar and Michael Hebert as Mary and Joseph. 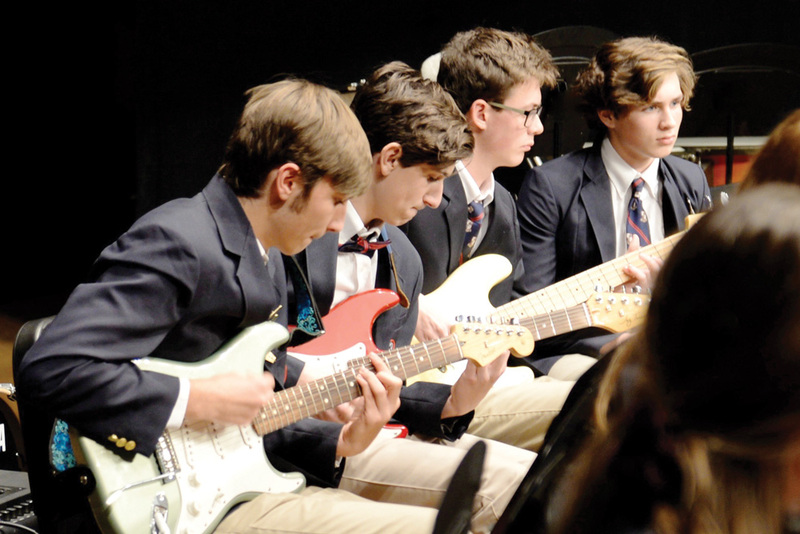 Members of the first-year Upper School Band include, from left: Kurt Leinemann, Jacob Osias, Will Mears and John Arrington. On Dec. 7, Lower School Music Director Joanie Brittingham introduced a performance, “The Good Shepherd,” filled with holiday songs and dance at the 48th Annual WPS Christmas Candlelight Program. On Dec. 12, Middle/Upper School Music Director Christopher Buzby delivered a performance “Holiday Travels” at the 23rd Annual Holiday Concert featuring performances from the 6th Grade Stage Band, Middle & Upper School Chorus, Middle & Upper School Concert Bands, and the Upper School Vocal Ensemble. The show also included a dance performance by the Upper School Dance Ensemble (directed by dance teacher Paulette DeRosa-Matrona), and the debut of the first-ever WPS Upper School Band and A Cappella Group.